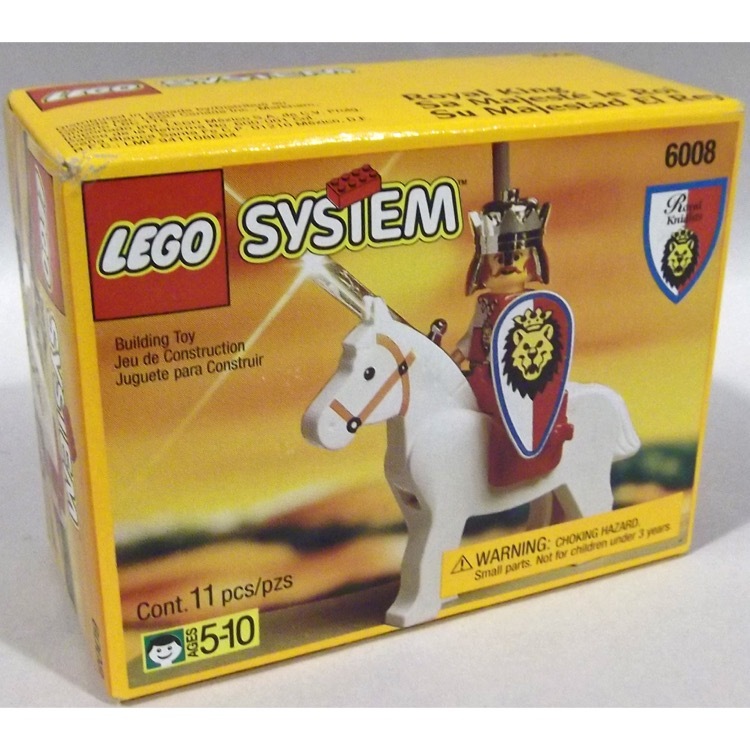 This is a BRAND NEW set of LEGO® Castle Royal Knights 6008 Royal King from 1995. This set is still factory sealed and the box is in very good condition with minor shelf wear. 11 pieces and 1 minifigure©. 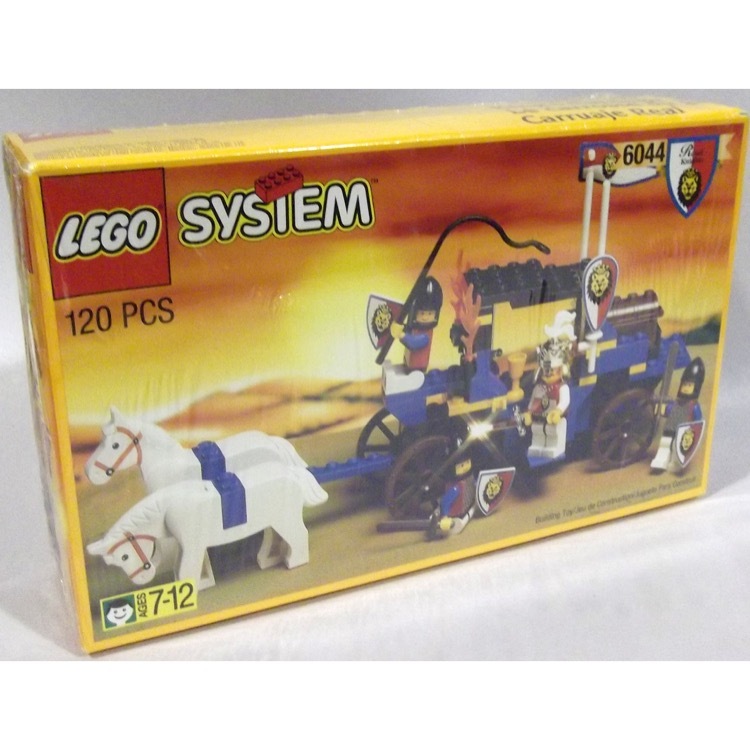 This is a BRAND NEW set of LEGO® Castle Royal Knights 6044 King's Carriage from 1994. This set is still factory sealed and the box is in very good condition with minor shelf wear. 120 pieces and 4 minifigures©. 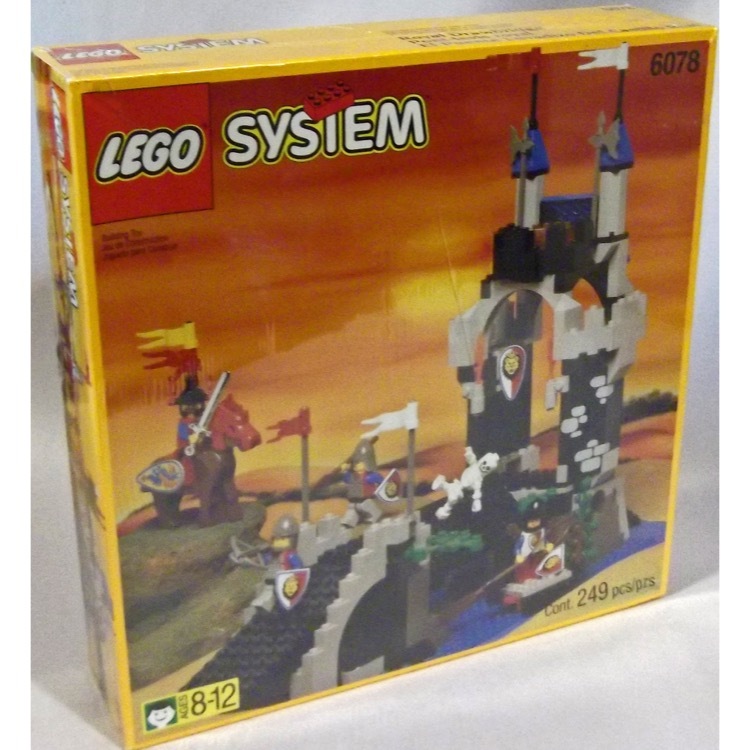 This is a BRAND NEW set of LEGO® Castle Royal Knights 6078 Royal Drawbridge from 1995. This set is still factory sealed and the box is in very good condition with minor shelf wear. 251 pieces and 4 minifigures©.